These were excellent! My girls loved them! I followed this recipe exactly as written, using the lemon juice and milk as a substitute for the buttermilk as stated. OMG – these are delicious. 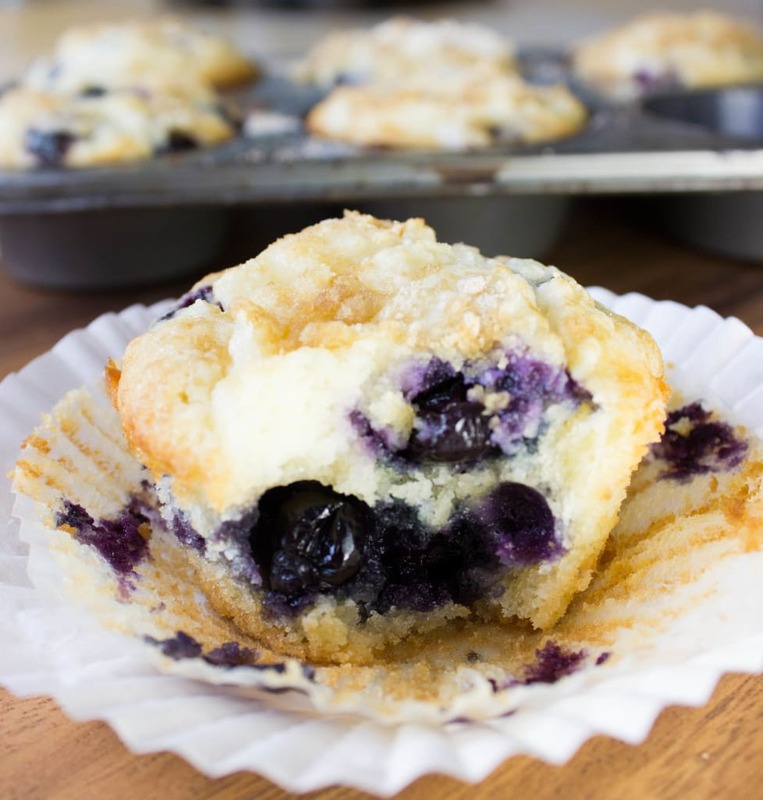 The crunchy chewy muffin top on these is to die for. I will definitely be making them again, possibly with blueberries next time! Well I’m outside with my batter all covered waiting to go in the oven and I noticed that I was supposed to stir the lemon juice in the milk…. WELL. Lol I must’ve missed that one… I was wondering why it still looked pretty watery… It had a couple curds. Do you think it’ll be ok? Hi Jennifer! I’m a little delayed getting back to you but it should still be fine even if you didn’t stir! I hope the muffins turned out for you! 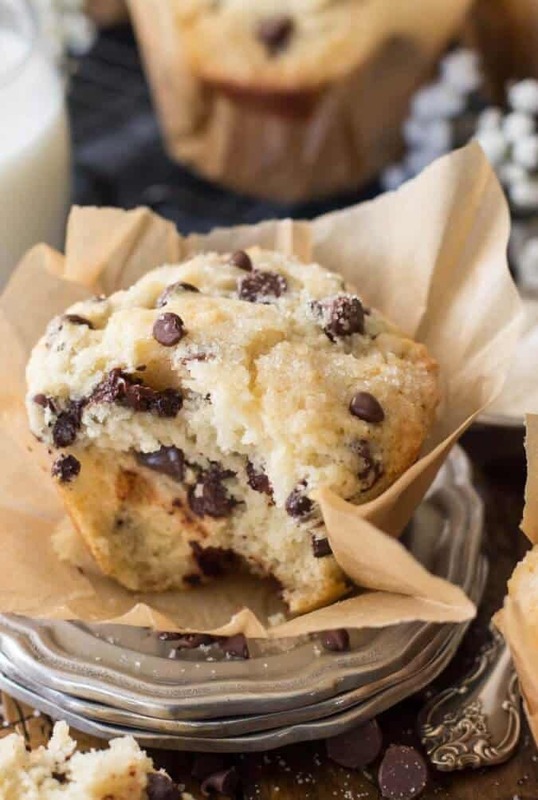 Your Chocolate chip muffins are fabulous, thank you for posting can’t wait to try other versions. 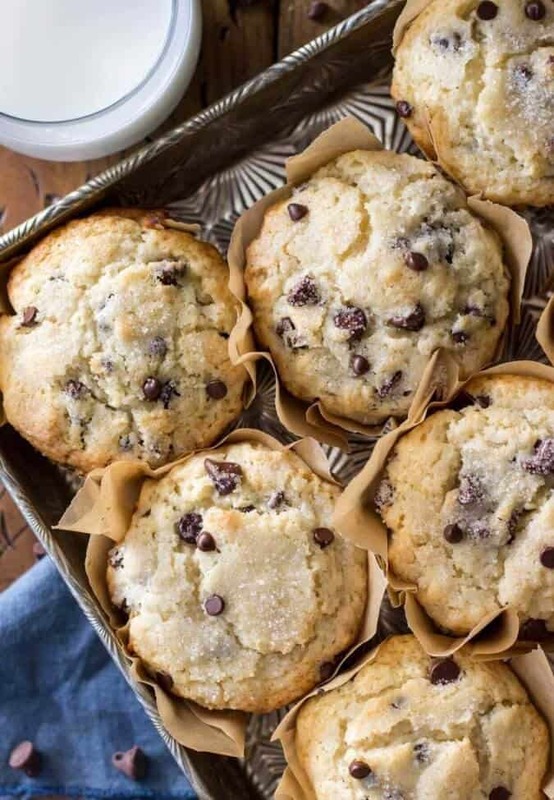 Is it possible to make these into mini muffins without over cooking them? Hi, Angie! I think you could make them as mini muffins, although I don’t know how long they would need to bake. Obviously it would be much less than the large muffins need to bake. 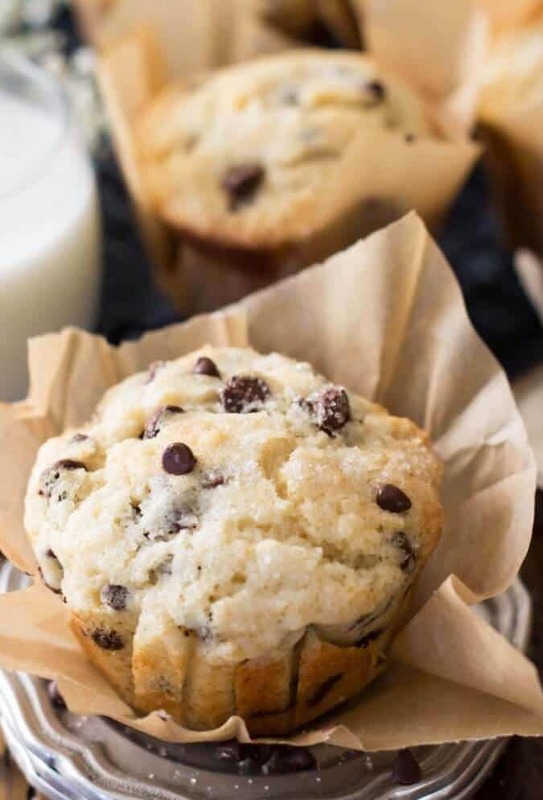 I made this just as regular size muffins, and my children loved them! Even my daughter who claims to hate muffins ate them and then asked for some the next day for her lunch at school. Thanks for a great recipe! Have you tried refrigerating the batter overnight and baking them the next morning? If so, were there any negative results? Thanks- can’t wait to make them! 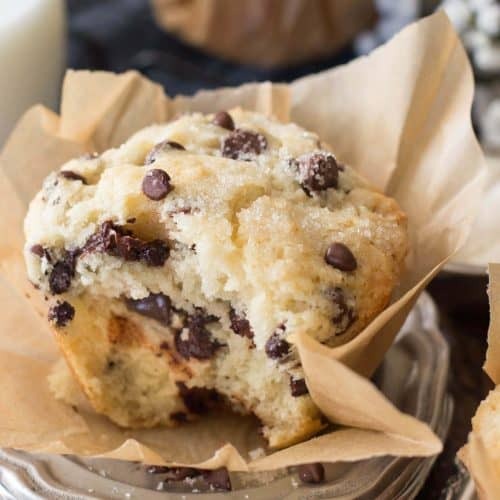 I’ve tried quite a bit chocolate chip muffins but these are by far the best. 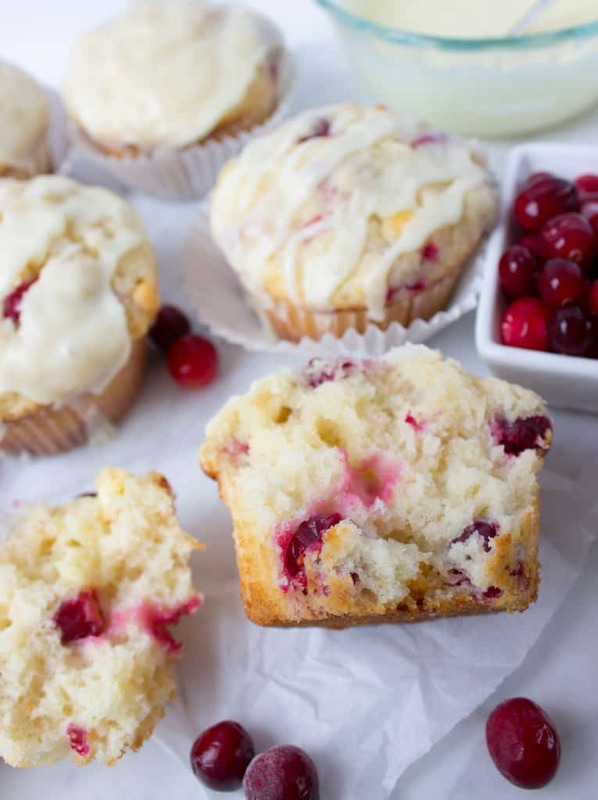 Flavorful and moist…all the deliciousness of what a muffin should be. Jumbo is the way to go! 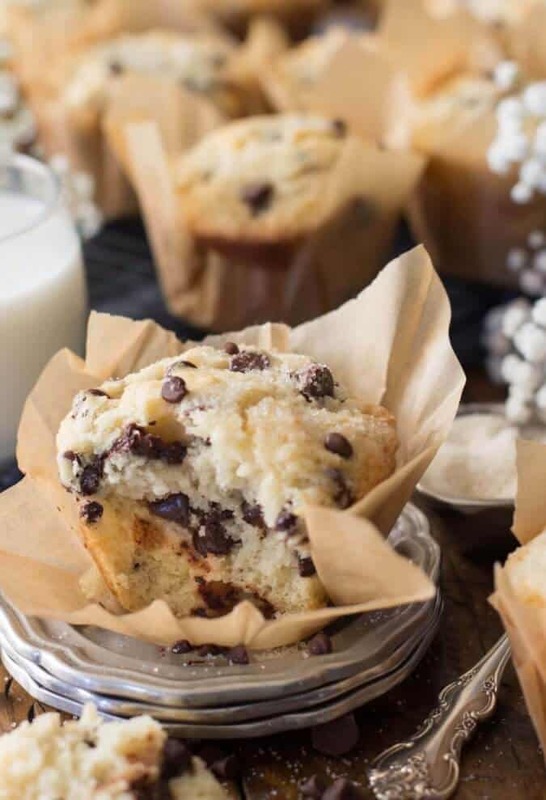 I’m confused…I’ve made your chocolate chip muffin recipe twice last month. I start making it again tonight, but the recipe is pretty different. Did you update it? I never leave reviews but I had to for these! 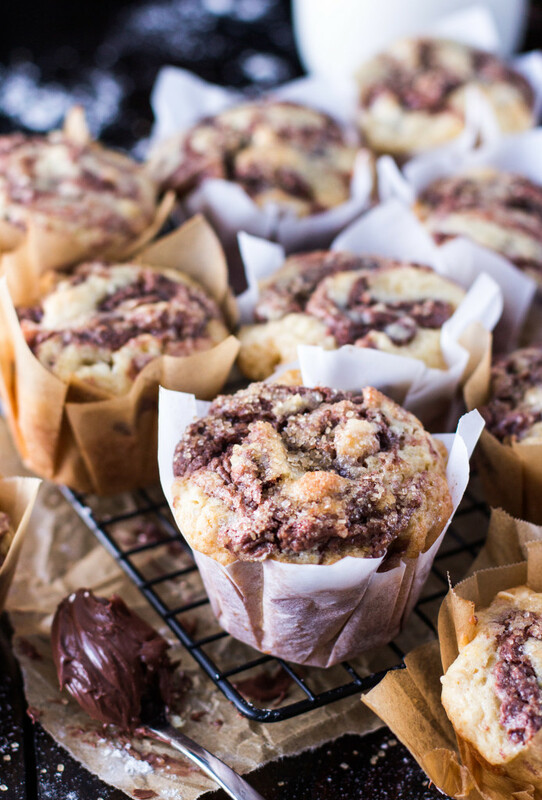 Seriously the best muffins I have ever made – they are so soft and moist. I used the vinegar + regular milk substitute. I made half with regular chocolate chips, and the other half I made with white chocolate chips and fresh strawberry chunks. Both were amazing. These are fantastic!!!! 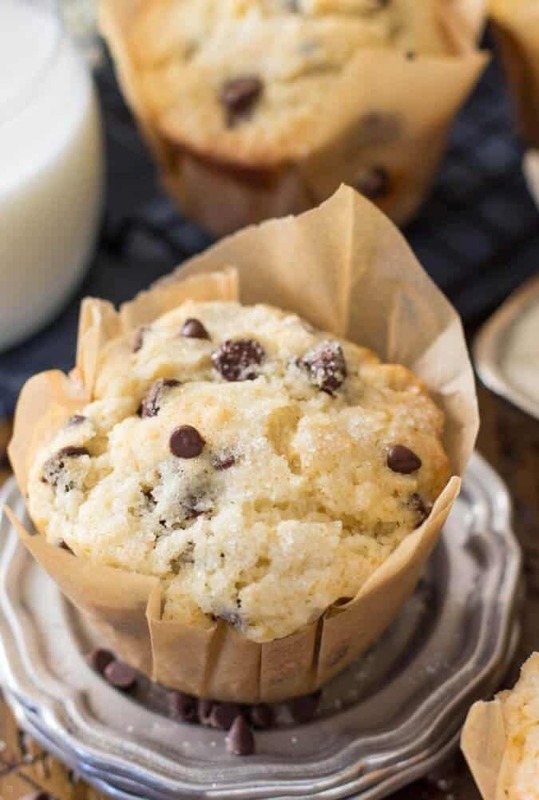 We are muffin freaks here and these are by far the best muffins I’ve ever made. That sugar top… yum. Thanks!!! I’ve used both. Either will work but my preference is semisweet. Thank you! My 7 year old and I made them today. They are wonderful!! I made these for my kids this morning & they loved them! It makes such a beautiful rich muffin with a tiny Tang from the buttermilk. So delicious! I’m so glad everyone enjoyed! thank you for telling me how they turned out for you, Jennifer! About how long can these last or stay fresh after cooked?